Preheat the oven to 375. 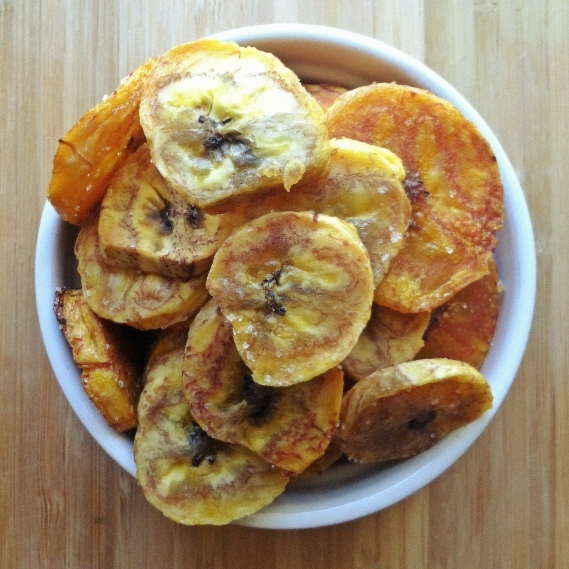 Slice plantains into thin slices ( but not too thin or they will burn). Place the slices on a baking sheet, drizzle with olive oil, and season with salt. Cook for about 40 minutes, rotating the chips at least 2 or 3 times. Allow to cool and serve.